Gina Rodriguez of “Jane the Virgin” is a Globe virgin, but stuns nonetheless. 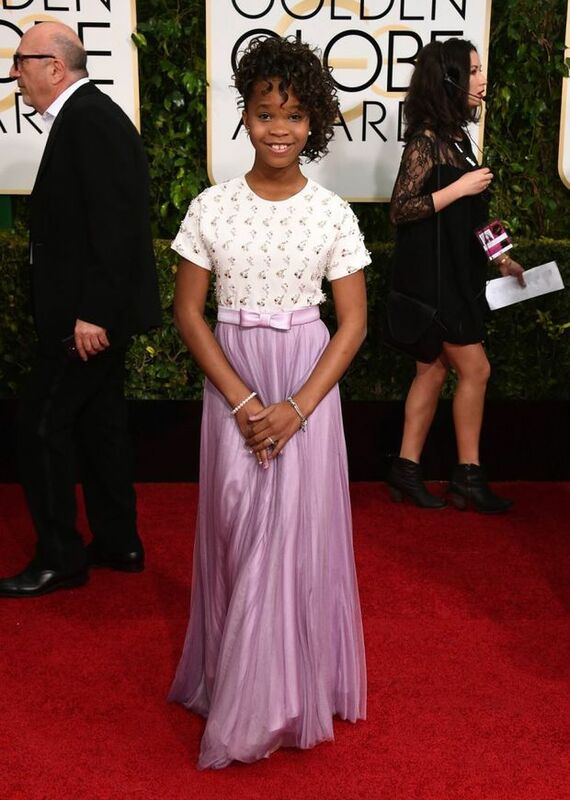 Quvenzhane Wallis aka the new “Annie.” Okay, so I love the TOP of it and the BOTTOM of the dress. I just don’t love them both together. Miss Golden Globe Greer Grammer (Kelsey’s daughter). Love! The “Awkward” star looks so beautiful. No red carpet breakdown can be complete without “Girls” and “Peter Pan Live” star Allison Williams. Gorge. Love. End of story. Lorde. Ehh. Not the biggest fan. Is it her? Yes. Is it my taste? No. Kate Beckinsale. Gorge. Tailored to perfection. ANNA KENDRICK LOOKS PERFECT. OMG, she looks great. LOVE LOVE LOVE. And I can’t wait to see her in “The Last Five Years” when it comes out in February. Julia Goldani Telles. Oh wow, I totally didn’t know she’d be here! She was in “Bunheads.” And I loved “Bunheads.” (Cancelled before it’s time… <sad face>) But, her dress looks perfect. 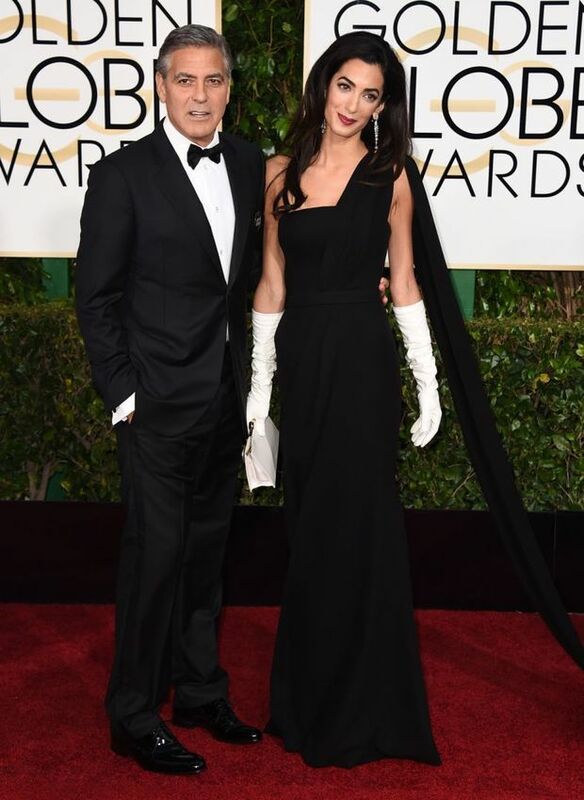 GEORGE & AMAL!! So glam. 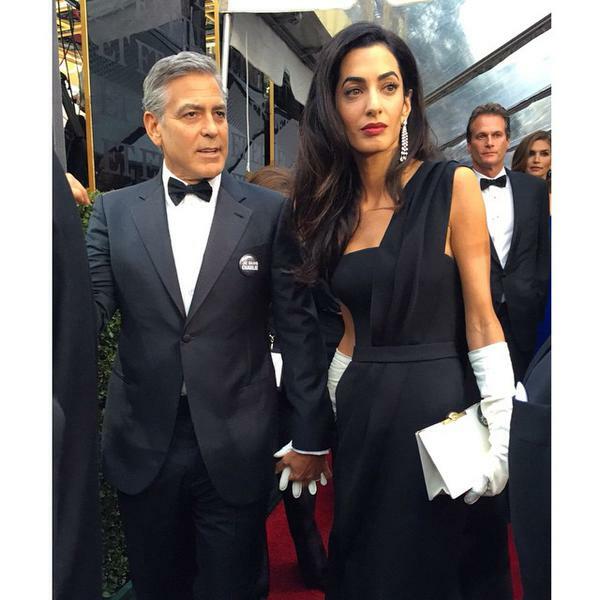 Another celeb couple looks perfect. And he is her official train-holder! Kate Hudson. Gorge. What else to say? Reese Witherspoon: so glam. Love it. Great compilation of some stunning looks!